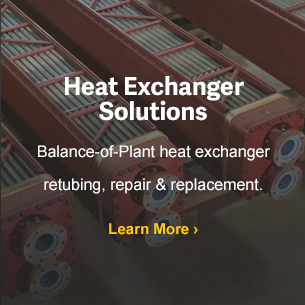 For over a quarter-century, RetubeCo has provided high quality, cost-effective condenser and heat exchanger solutions for clients around the world. 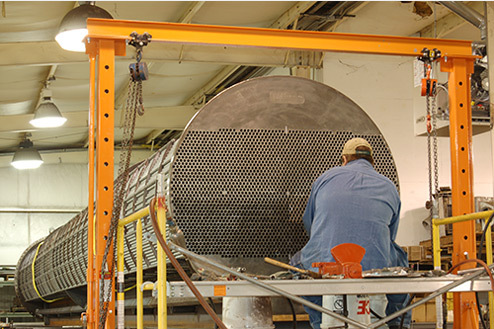 Industries we work in include power generation, petrochem, pulp & paper, refining and HVAC to name a few. We are a certified ASME Code facility with both "U" and "R" stamps for fabrication and repair. 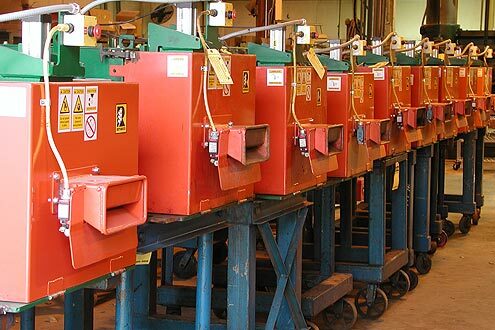 Our services can be performed at our plant in Chattanooga Tennessee or at your site depending on your requirements. 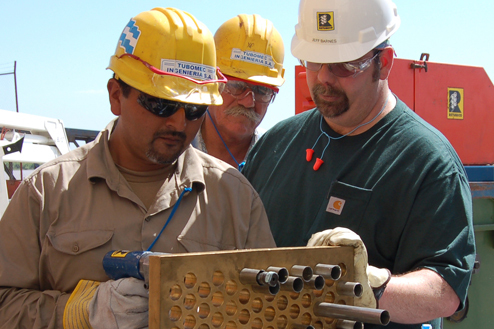 Unlike an OEM, we can provide the same high quality products or services at either location. 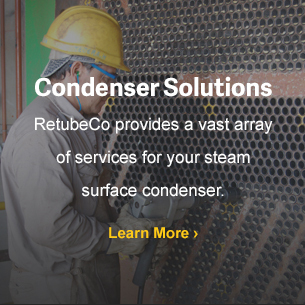 RetubeCo delivers application-specific retubing tooling packages on a project base rental basis to both utilities and maintenance contractors. A large majority of our tooling is designed and engineered by RetubeCo to provide significantly higher production rates than off-the-shelf solutions, and when coupled with our technical support, can significantly reduce the overall costs of your retubing project. 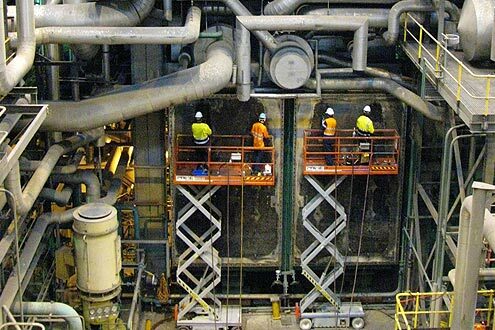 Put our experience to work for your project.